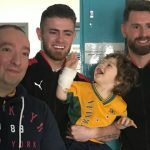 Barry Gray and a selection of his Cliftonville players spread some Christmas cheer on a visit to The Royal Belfast Hospital for Sick Children this morning. 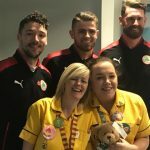 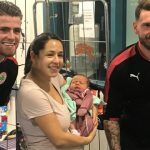 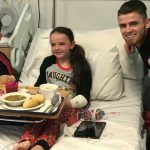 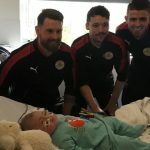 Garry Breen, Rory Donnelly and Tomas Cosgrove joined the Manager on a festive errand to meet the kids, their parents and dedicated staff, who were delighted to see smiles on their patients’ faces as the Reds quartet handed out gifts – and even signed a shirt for one particularly well-prepared youngster. 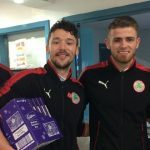 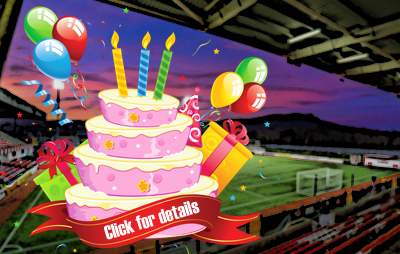 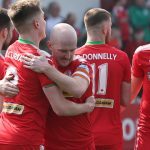 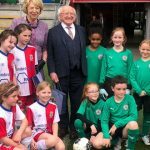 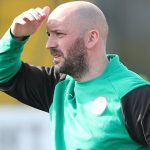 Everyone at Cliftonville Football Club extends compliments of the season to the children and their families this Christmas and we naturally wish them very well in their respective recoveries, as well as affirming our appreciation of and admiration for the hard-working staff for their round-the-clock efforts in the line of duty.